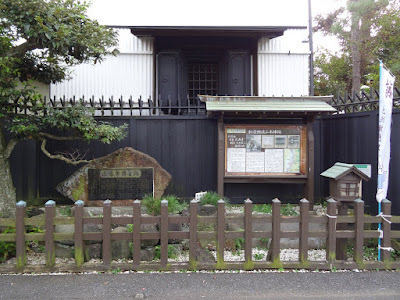 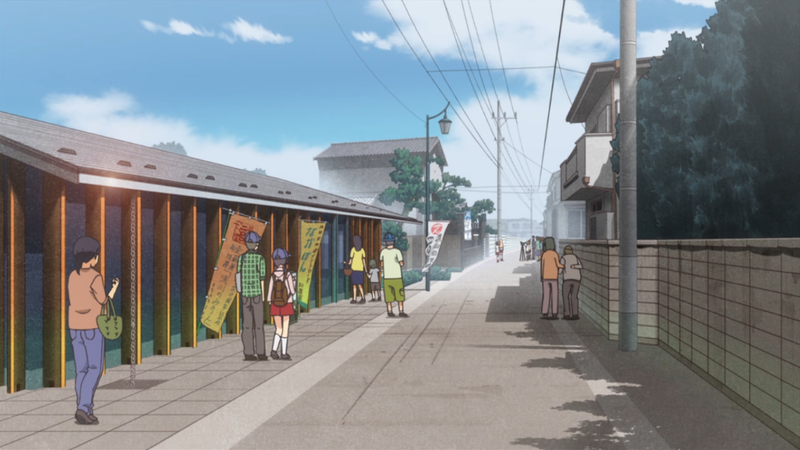 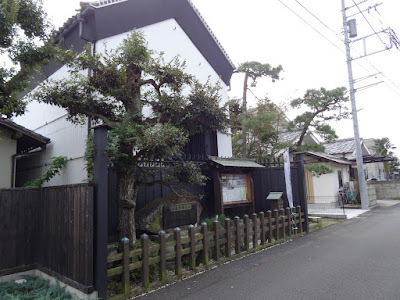 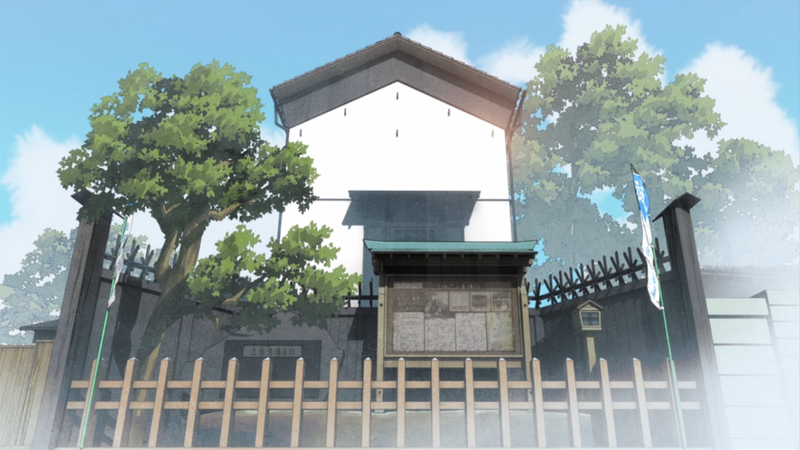 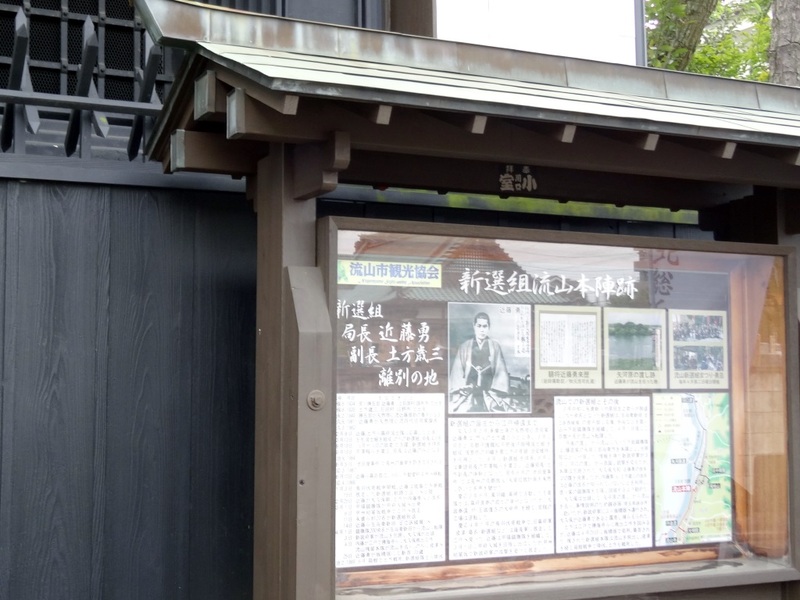 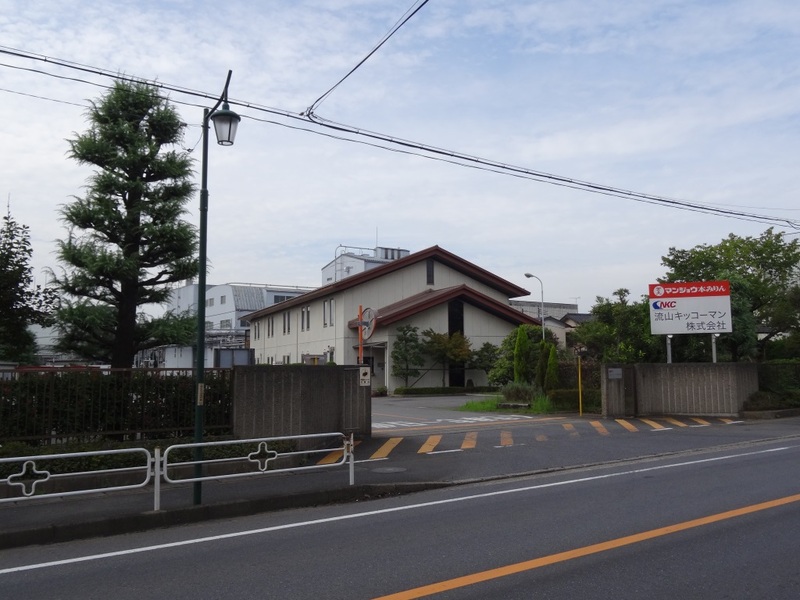 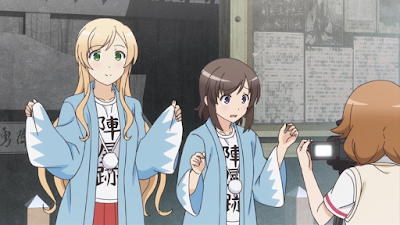 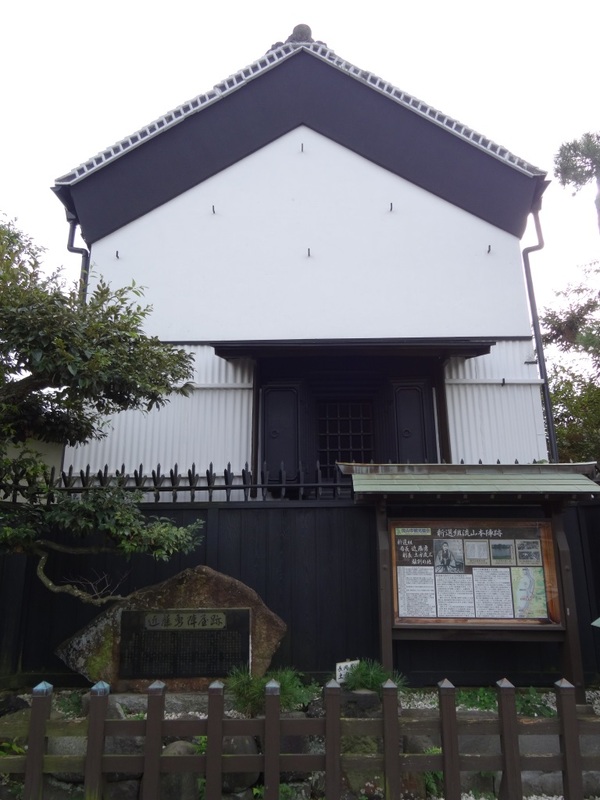 Another place shown in the Locodol OVAs is the Kondō Isami Jinya Remains, an administrative headquarters site from the Edo period, which is close to Nagareyama Station. 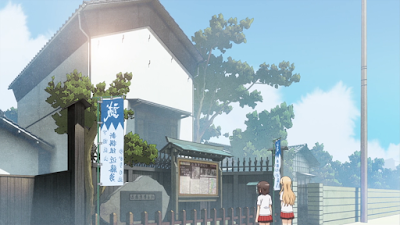 Yukari and Nanako standing in front of the jinya remains. Across the street from the jinya remains. 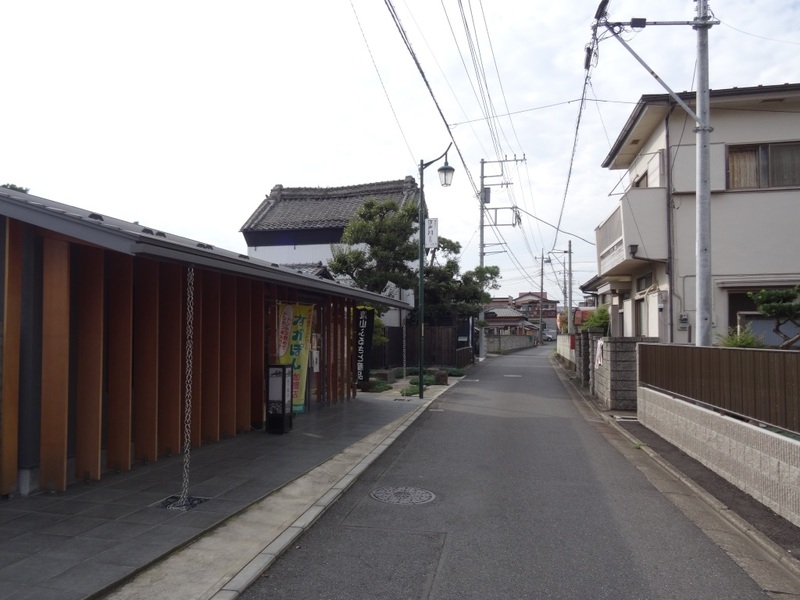 The building to the left is a store right next to the remains. 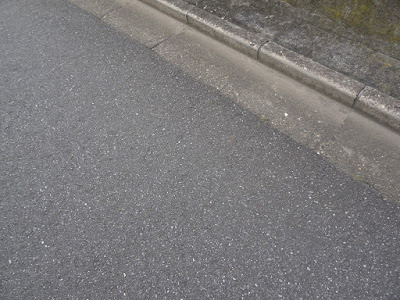 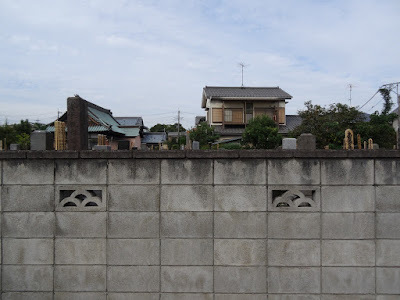 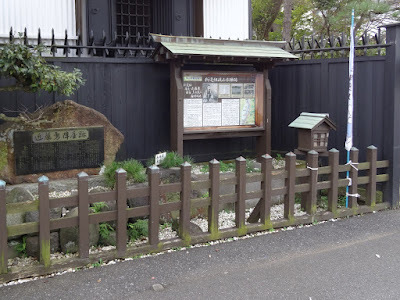 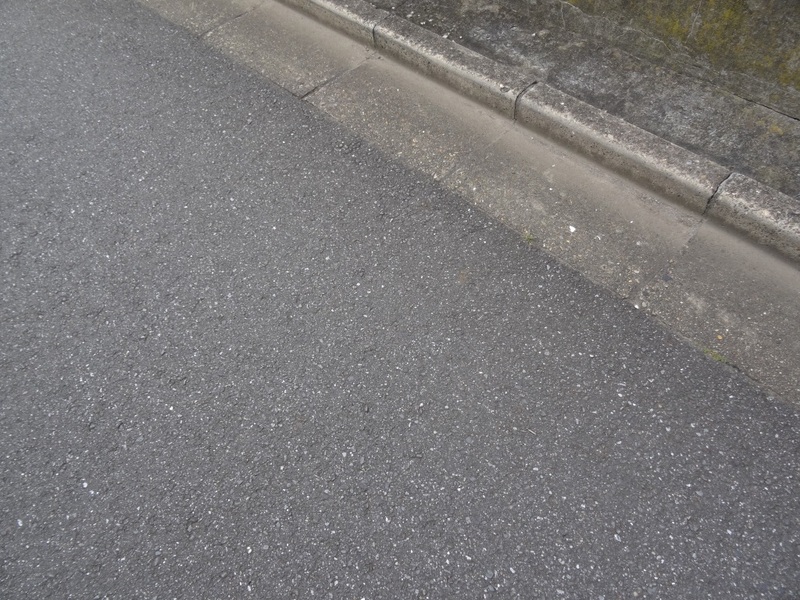 This is supposedly where Kondō Isami and Hijikata Toshizō of the Shinsengumi last saw eachother. 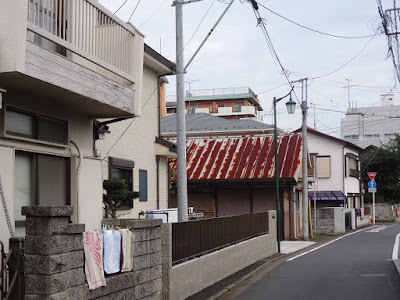 The balcony on the left matches. Nat-chan asks everybody to join Nanako and Yukari in the shot for the PV. 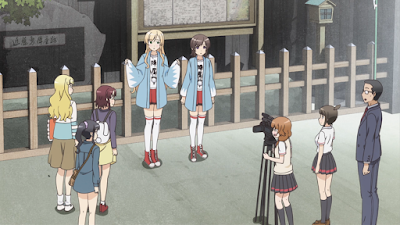 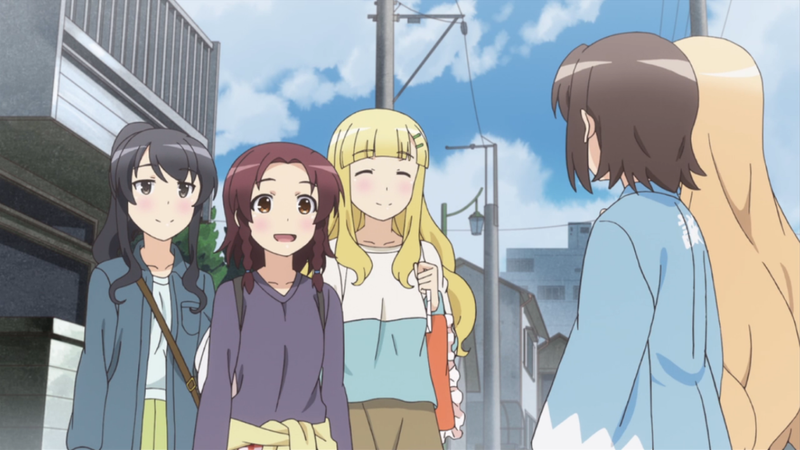 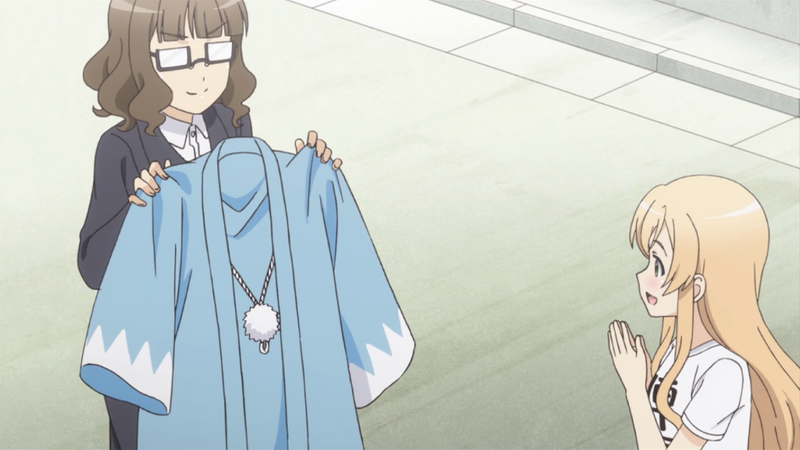 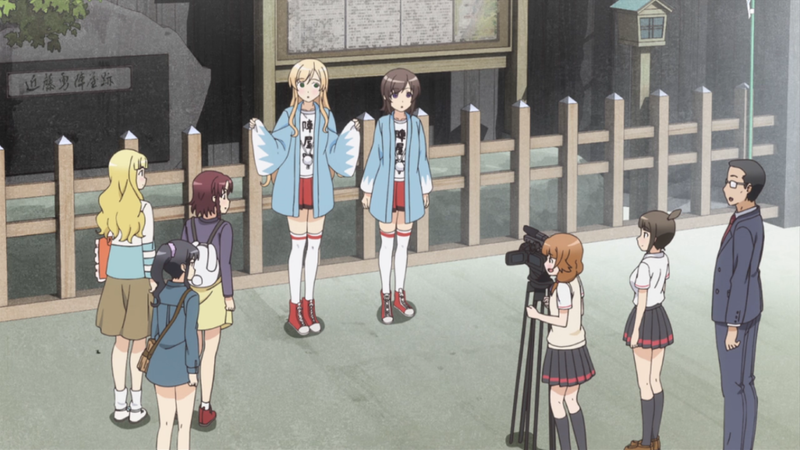 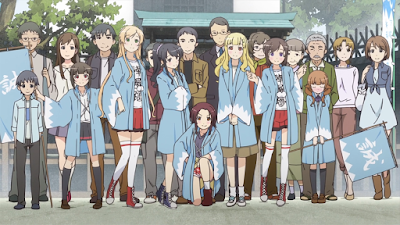 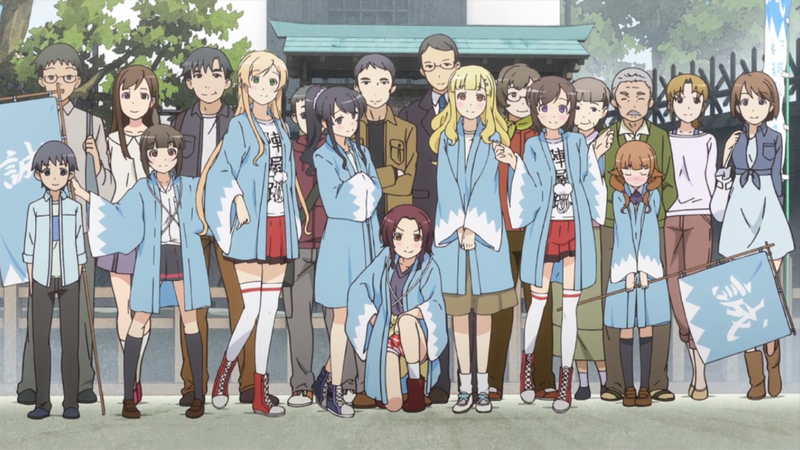 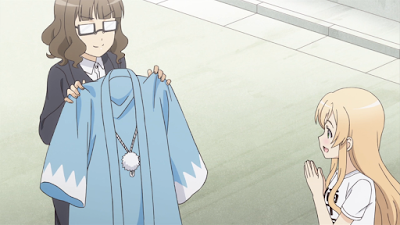 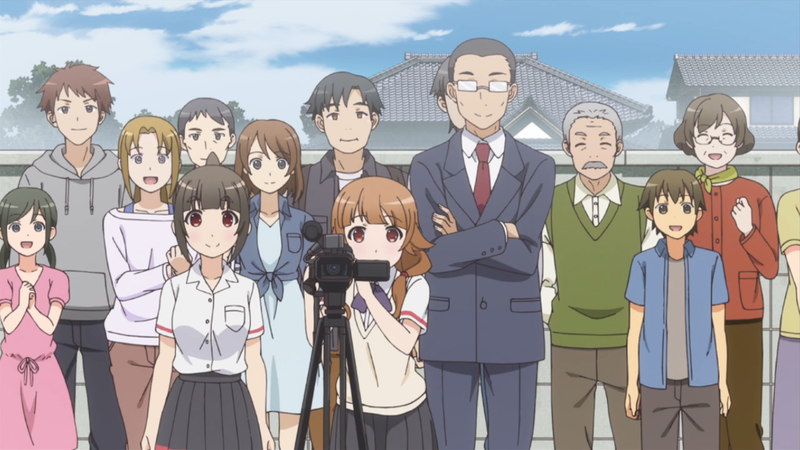 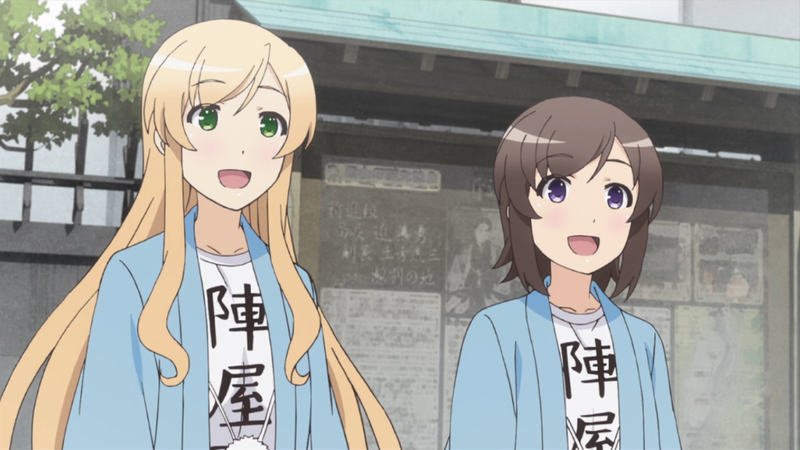 The tourist information board behind Nanako and Yukari got a picture and info about Kondō Isami on it. 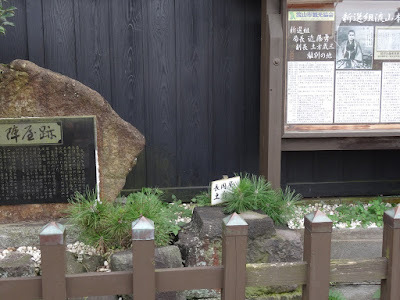 Full view of the jinya remains. Everybody joins in on the shot. 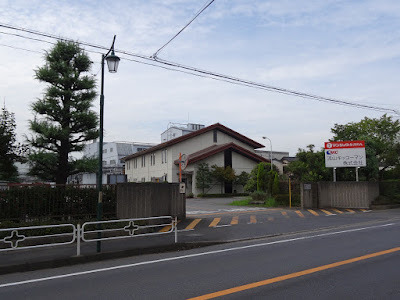 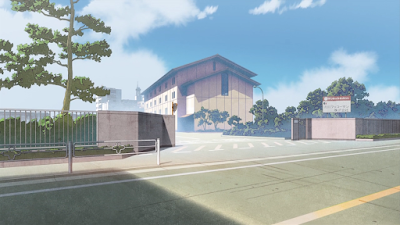 Another place shown in the same OVA is this Kikkoman mirin brewery. I've marked a path from the jinya remains to a building close to this place in the map below. 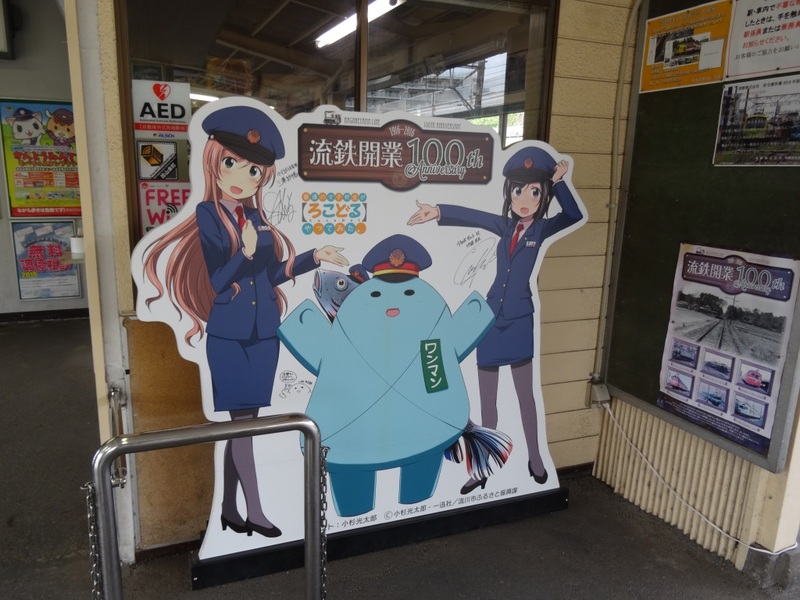 And since I already was in the area I also checked out Nagareyama Station again where they still had the Locodol cardboard cutout. These locations were visited on 2016/10/04.